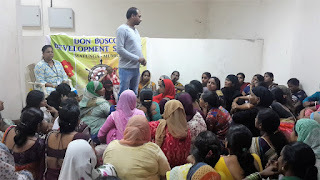 Mumbai, 26-August-2017: The Don Bosco Development Society (DBDS), Mumbai organized an awareness training programme on “Right to Food” at Rajiv Gandhi nagar in the Dharavi slum. 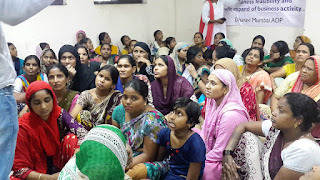 More than 64 women participated in this programme. Mr. Mohamed Anees (Convenor for Anna Haq Parishad) was the resource person for the workshop. 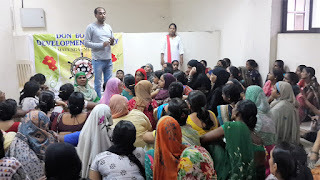 It was for the very first time that a workshop of this nature was held in Rajiv Gandhi nagar. Through this workshop DBDS made it clear to the participants the rights that they have according to the Food Security Act. 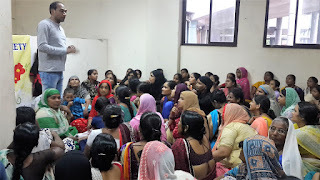 The resource person also helped the participants to understand the different types of Ration Cards and the benefits that can be availed through these different cards. Mrs. Kavita Kamble (Field Staff - DBDS) proposed the vote of thanks. The women went back enlightened and happy about the event held.